Saturday September 8 marks the European Fortressday. During the weekend Kunstfort bij Vijfhuizen organizes special events on this occasion as well as the Open Monumentendag on September 8 and 9. On Saturday the 8th of September Sam Keogh will give a performance with the title Knotweed at Kunstfort bij Vijfhuizen. His video installation, Kapton Cadaverine Log Entry (2018) is now on show in the BLOB on the fortress island as part of The Mindful Intervention, curated by Kerstin Winking. 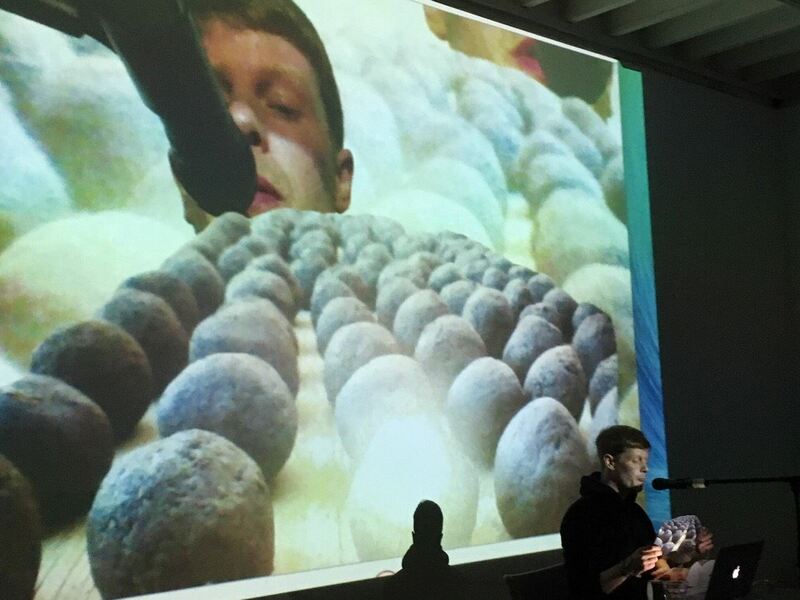 Using collage, text and audio visual elements, Sam Keogh’s new performance knots together several disparate strands of research on invasive species; landlord revenge; worker sabotage and foraged food trends. ‘Knotweed’ becomes a performance as root system, rhizomaticaly undermining housing as commodity. 2pm: Art tour. Starts at the entrance of the fortress. Admission is free. 3pm: Historical tour (duration 1 hour). Gather at the entrance of the fortress. Admission is free. Sam Keogh, Knotweed, 2018, performance, photography Anne Tallentire.